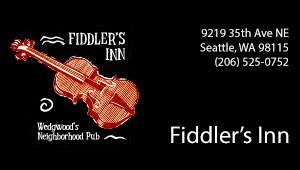 The 35th Ave NE Project Outreach Team provided the following update on Thursday, June 7. 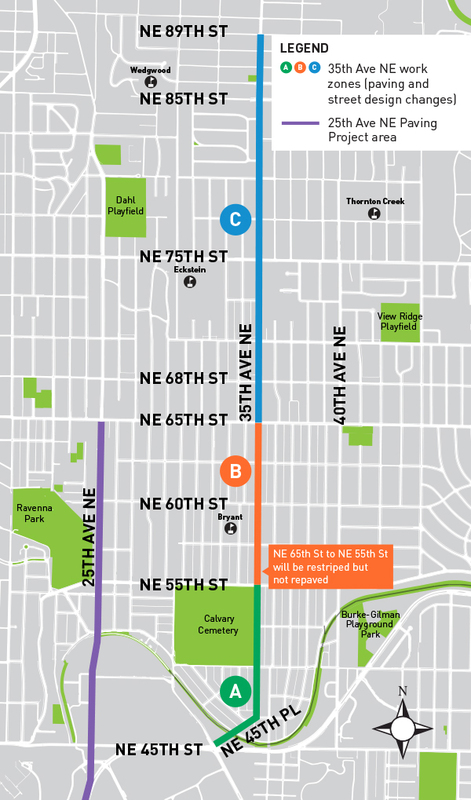 Construction for the 35th Ave NE Project is scheduled to begin June 11 in Zone A (between NE 45th and NE 55th streets). Crews will begin with storm drain work, sidewalk repair, and curb ramp replacement in select locations. Street parking will be restricted in this area to provide room for crews to safely and efficiently complete the work. Repaving the road in Zone A will begin in the coming months. Beginning next week, you’ll see survey crews throughout the area. 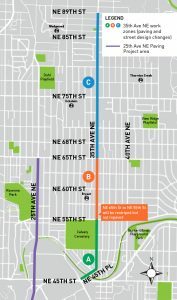 Crews will repair storm drains on NE 45th Pl between University View Pl NE and NE 47th St. Crews will also begin curb ramp and sidewalk work on the west side of 35th Ave NE and NE 45th Pl. We know construction can be disruptive and we’ll work to minimize impacts and get the work done efficiently. We’ll maintain pedestrian access to homes and businesses at all times. Please continue to eat, shop, and visit 35th throughout construction! We’ve divided the project area into 3 work zones. Crews may work in multiple zones at once, but these work areas will help you know what, when, and where major work is happening. Please forward this email to those you think will be interested and encourage your neighbors, customers, or tenants to sign up on our webpage to receive construction updates by email. We’re coordinating with other projects in your neighborhood to minimize impacts. See the links below to learn more about these projects.